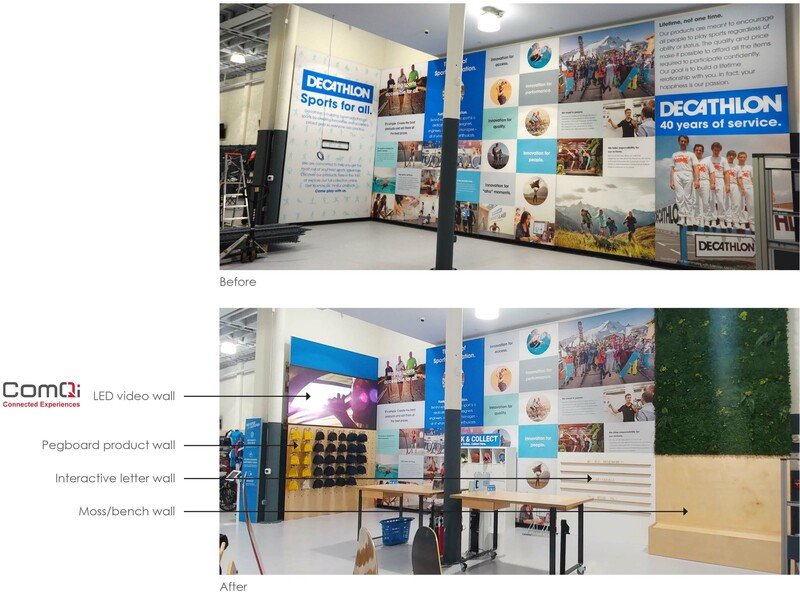 Decathlon, the store that is more than a sporting goods store, but rather a community spot for athletes, reached out to DVC to produce and install graphics for their store opening a year ago. And now they wanted a change. A change to create a more interactive retail experience. Being familiar with the space because of our initial install, we were called upon to make the adjustments needed for this new conversion and to manage the entire installation. The challenge was that the newly converted areas had to standoff the wall ten inches. 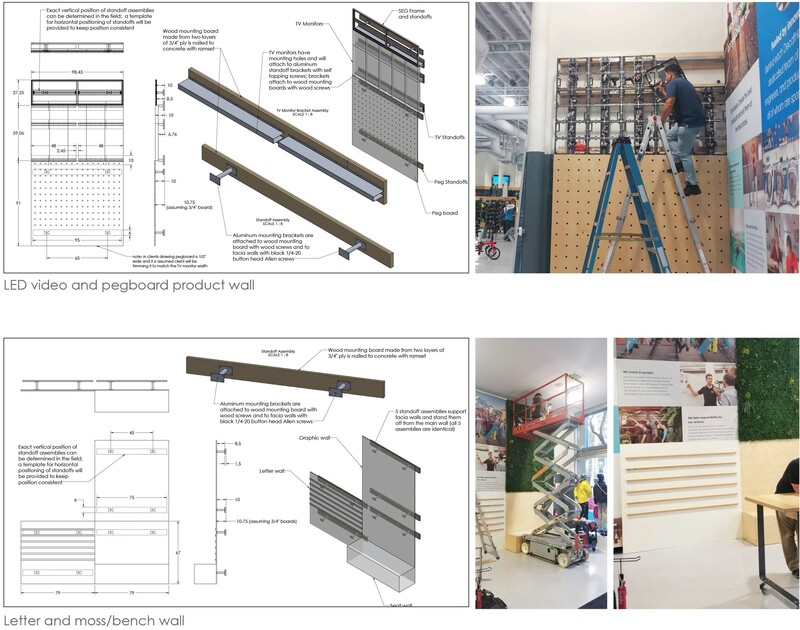 This included: a LED video wall, a pegboard product wall, an interactive letter wall and a moss/bench wall. That may not sound too challenging, but we had to produce the brackets for these new elements that we were not even producing. 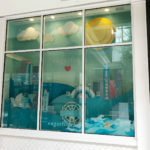 We had to collaborate and coordinate with the other vendors, the store and the install team on how to execute this perfectly. It all came down to the understanding of the new elements that needed to be installed and our precise CAD work for the brackets. 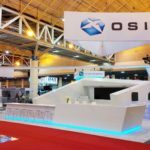 Project management was key as we had to plan and work with multiple vendors to ensure the install went right the first time around. 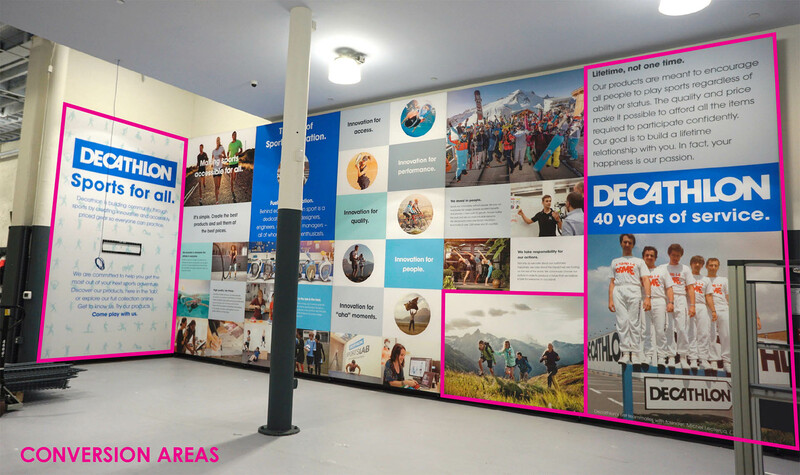 Decathlon now has a much more interactive retail experience for their shoppers. And these days, that is what shoppers want. Need help with your next install? Our team of retail experts would be happy to find out more.